Our greatest evil currently is that every day we are involved in a feud with animals, such as killing and consuming fish, shrimp, crab, etc…on a daily basis. It is only when we fall ill one day or when we are grieving for our own ill or dying child do we realize the pain that animals endure. DVA Chapters play a vital role in fulfilling Dharma Voices for Animals’ mission of bringing awareness of the suffering of animals to the Dharma community. Located throughout the world, Chapters serve two important functions. Local Chapters will engage in activities that promote DVA’s message within the wider dharma community as well as get together for events such as film screenings (for example, Animals and the Buddha), readings, guest speakers, group discussions, and potlucks. The activities of every Chapter are different, reflecting the remarkable diversity of DVA’s membership. At the bottom of the page is a list of the active DVA Chapters along with contact information. If you are interested in attending a Chapter event and live in the area of one of our local Chapters, feel free to contact the group’s leader listed below. There will be opportunities for Chapter members to connect with other Chapters around the world. Do you have leadership experience, energy, enthusiasm, and passion for animals and the dharma? If so, consider starting a DVA Chapter in your local area. If you are interested, please contact c…@dharmavoicesforanimals.org for more information. DVA CHAPTERS: Austria, Bhutan, Brazil, Canada, Chicago, Chico, Colombo, Connecticut, Detroit-Ann Arbor, England, Finland, Germany, Kandy, Los Angeles, Massachusetts, Minnesota, Myanmar, New York City, Penang, Perth, Sacramento, San Diego, San Francisco Bay Area, Seattle, Singapore, Silicon Valley, Thailand, and Washington DC. George began practicing the Buddhadharma in 2007 and met his main teacher, His Holiness Phakchok Rinpoche, two years later. Since 2015, he has conducted a meditation and study group at his hometown, Curitiba, Brazil. 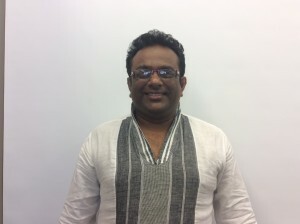 George is also a long time practitioner of classical Hatha Yoga and a Sivananda lineage authorized teacher. His yoga teachings go beyond asana and pranayama to embrace all aspects of the yogic lifestyle, including the vegetarian diet. 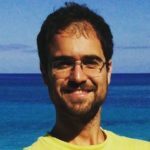 George is an active member of the Brazilian Vegetarian society and occasionally collaborates with different animal rights organizations. He holds an M.Sc. in International Relations and has worked as an Assistant Professor for almost five years. Currently, George manages the pedagogical department of a foreign languages school, where he also teaches English and Spanish. George’s passion for cooking and nutrition led him to pursue a certificate in Healthy Culinary Arts. He takes great pride in his vegan chana masala (chickpea curry). Whenever time and life allows, George can be seen in the woods camping and hiking. 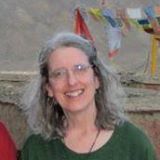 Vicki Seglin is an ordained lay member of Thich Nhat Hanh’s Order of Interbeing and practices with Fierce Compassion Sangha in Evanston, Illinois. 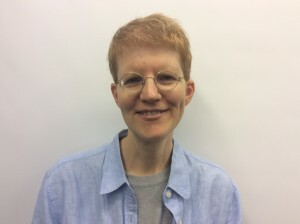 She feels fortunate to be able to practice right livelihood, as a clinical psychologist, and to have found Dharma Voices for Animals, which helps her to actively combine her two spiritual paths of a vegan lifestyle and Buddhist practice. Practicing and creating compassion for our animal companions is an essential part of her spiritual aspirations. Dr. Ashwani Garg is a vegan family physician in the Chicago area. 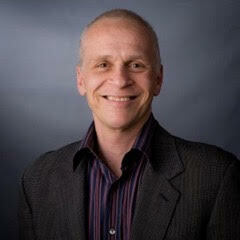 He has a certificate in plant-based nutrition from the T. Colin Campbell Foundation. 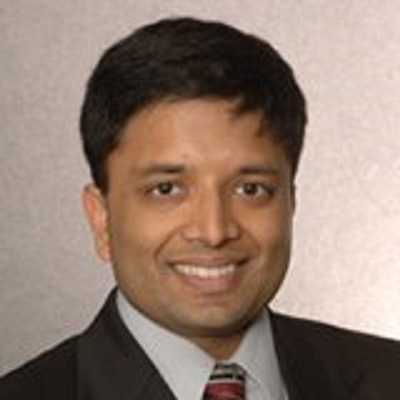 He received his medical degree from Northwestern University Feinberg School of Medicine and has practiced medicine for 14 years. He also coaches in nutrition and health. He actively practices Buddhism. Sherry Morgado has been practicing Zen Buddhism in the lineage of Thich Nhat Hanh since 2010, although she began meditating in 1981 after reading “Zen Mind, Beginner’s Mind.” by Shunryu Suzuki-Roshi. She practices with the Slowly Ripening Sangha at Sky Creek Dharma Center in Chico, California. 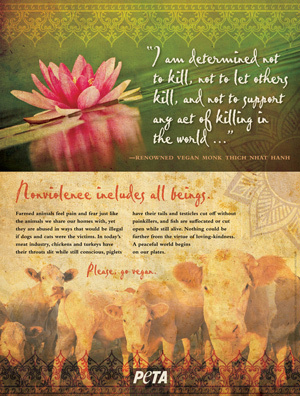 She loves sharing the Buddha’s message of compassion for animals through her personal example of living as a peaceful and joyful vegan, as well as active advocacy on their behalf. John had been a Dharma practitioner 19 years. He was a student of Gelek Rimpoche, founder of the Jewel Heart Tibetan Learning Center Headquartered in Ann Arbor, Michigan. John lived in Michigan with his wife, Billie Bussineau, of 37 years and one rescue dog. 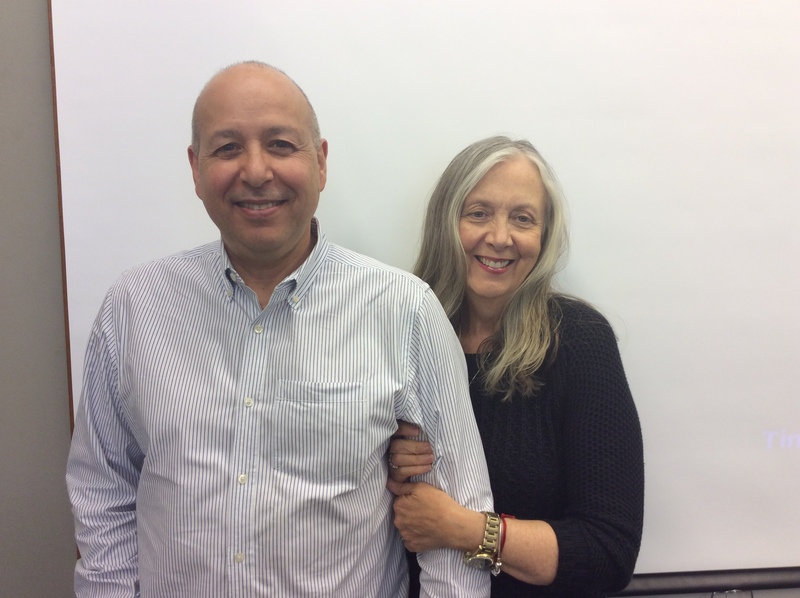 He taught/facilitated dharma classes in Bloomfield Hills, Michigan and was the author of the book: The Buddha, The Vegan, and You, where he told his personal story of trying a one-month vegan challenge with his family. In it he shares many of the difficulties experienced along the way and reveals some of the Buddhist methods he used to overcome them. 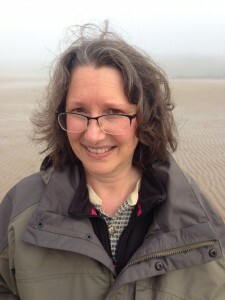 Billie has been involved with the Dharma for 19 years and attended numerous retreats and teachings during that time. She is also a student of Gelek Rimpoche, founder of Jewel Heart. Billie also practices yoga and volunteers for the Plant-Based Nutrition Support Group (PBNSG) helping people to transition to a healthier lifestyle. An on-and-off vegetarian her entire life, she has led a vegan lifestyle for the past 6-years and is a relentless advocate for a more compassionate lifestyle. Billie and John have been married for 37 years and have two daughters, Stephanie and Cristina, and a granddaughter Lorelai, who are also vegans. Denise Jones was born in Anacortes, Washington in the US and currently lives near Bath in England. 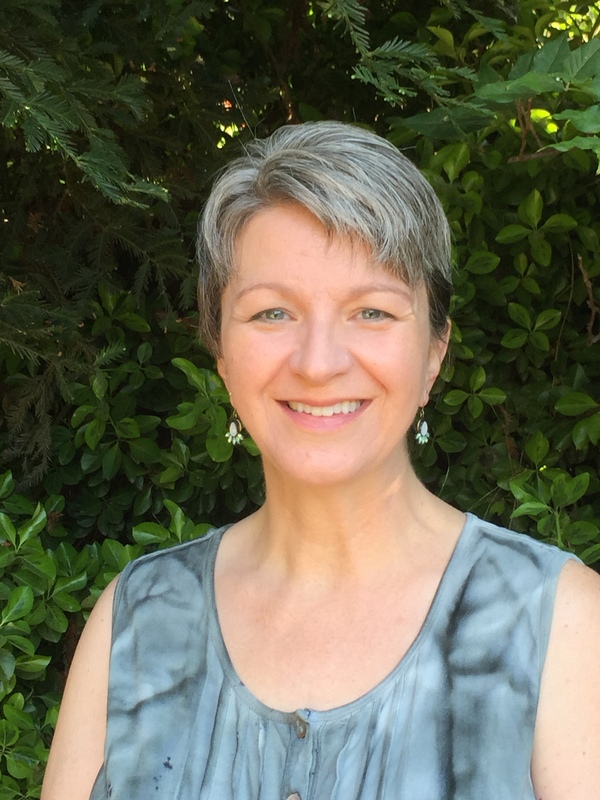 She was drawn to Buddhism twenty-five years ago when she moved to Portland, Oregon and found a small group of practitioners. She took refuge vows with Her Eminence Sakya Jetsun Chimey Luding Rinpoche and was fortunate to receive many wonderful teachings. She had always felt compassion towards animals and became vegan three years ago. Her current daily practice includes Exchange (Tong-len), Tranquillity, and Insight meditations. After watching DVA’s film, Animals and the Buddha, Denise became a member of DVA. As England Chapter Leader, she hopes to support DVA’ mission to be a voice for animals and a force for compassionate living within the Sangha. 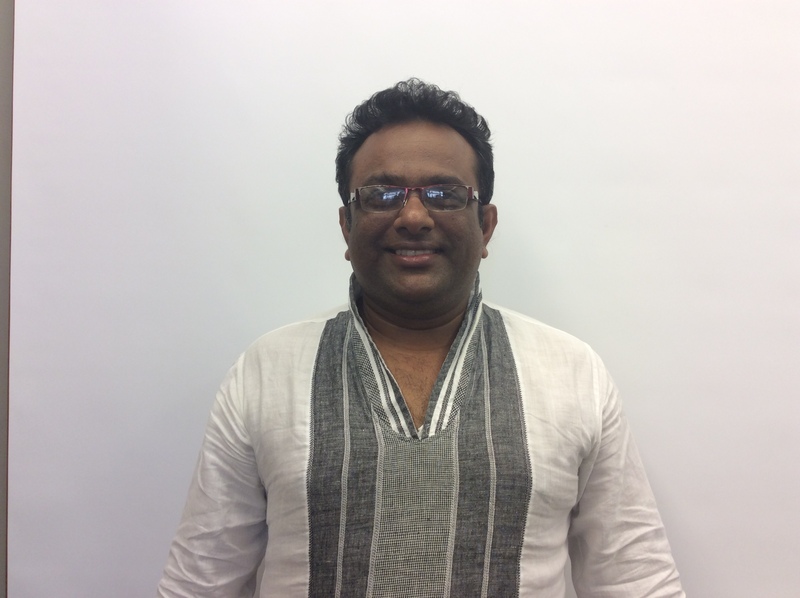 Dr. Chamith Nanayakkara is a veterinarian surgeon, who travels extensively around the world. Doctor Nanayakkara’s Kandy chapter is reaching out to young people and families in Sri Lanka to promote the Buddha’s teachings about compassion and non-harming toward ALL sentient living beings, as well as the health and ecological benefits of a vegetarian diet. 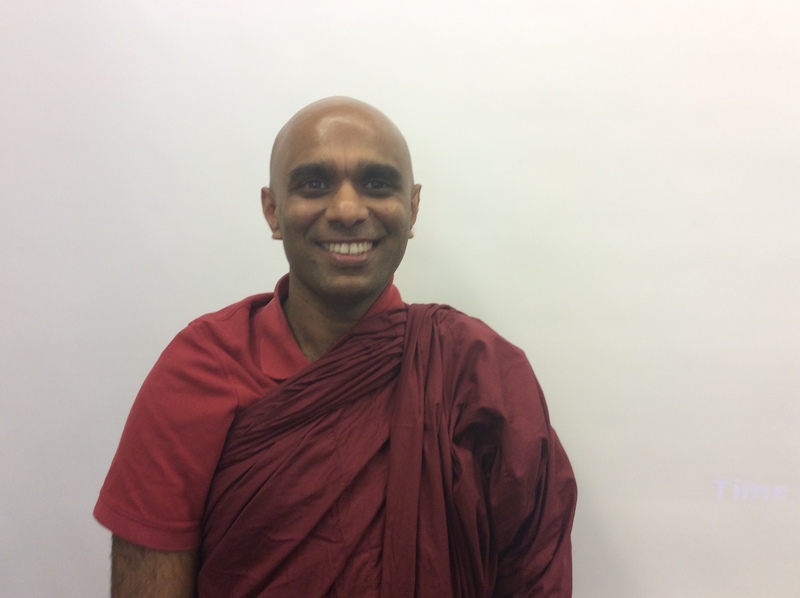 Bhante Sathi is from Kandy, Sri Lanka, and lives in Mankato, Minnesota, USA. Emerging spiritual interests in his early teens led Bhante Sathi to be ordained as a novice monk (bhikku) at age 19 in the Theravada tradition in his native country. After three years of education and training under Wattegama Dhammawasa Maha Thera at Sri Subhodaranaya International Bhikku Center, Sri Lanka, he received higher ordination as a fully ordained monk. As a monk, he taught meditation and insight practices and counseled people from many walks of life using Buddhist teachings. Invitations from people interested in meditation led to Bhante expanding his teaching to Europe, Canada, and the United States. In 1999 he became a resident monk at the Great Lakes Buddhist Vihara in Southfield Michigan and traveled around the US and Canada teaching meditation and mindfulness practices, the teachings and philosophy of Buddha (Dhamma), and leading retreats. In 2003 he made Minnesota his home and, with the support of friends, founded Triple Gem of the North in Mankato where he began living. He became a US citizen and traveled the state, sharing his knowledge and training in the Buddha’s teachings, meditation, and mindful living. Heng Guan Hou has been a stalwart crusader of the vegetarian, local organic, environmental, and corporate social responsibility movements in Singapore for many years. 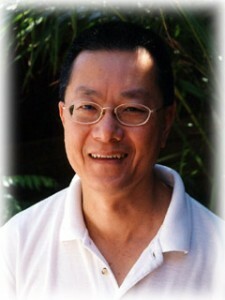 An active member of the Vegetarian Society Singapore, Guan Hou is currently the Vice President after serving 2 years as the Honorary Treasurer. He was recently elected as the president for SEAVU-South East Vegetarian Union. He is actively involved in several other NGOs such as World-In-Theatre and Nyaung Kan Aye Dharma Society (Burmese Buddhist Society). He has held numerous positions in charity and religious organizations and performing art groups such as World-in-Theatre in Singapore. His passion is to work on as many art, social, and charity projects as possible in his lifetime. Being an adventurous entrepreneur, he ventured into Myanmar to set up a turnkey company, M & E Engineering Solutions, and an engineering products trading company which supplies various international brands. In addition, he founded a FMCG company distributing the Old Town White Coffee brand. 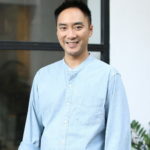 He was awarded the Singapore Prestige Brand Award by the Association of Small & Medium Enterprises as well as the Emerging Enterprise 2012 Award from the OCBC Bank for his entrepreneurship. 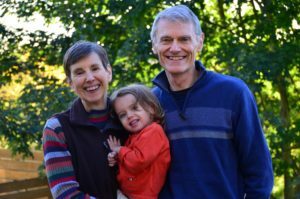 Philip Murphy is a longtime student of the Buddhadharma, having begun practicing in 1997 at the Cambridge Insight Mediation Center (CIMC) in Cambridge, MA. In his practice Philip embraces as fully as is humanly possible the Five Precepts, including the First Precept and its exhortation to refrain from killing living beings. 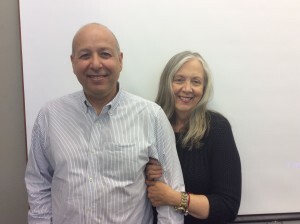 He is a former member of the board of directors at CIMC and at Insight Meditation Center of Pioneer Valley (Easthampton, MA), and currently serves on the board of New York Insight Meditation Center. 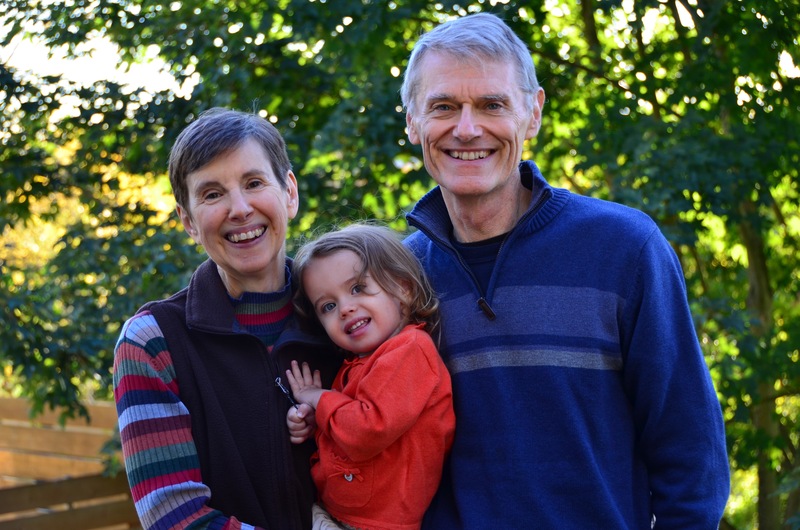 Philip is the founding principal of Commonwealth Mindful Philanthropy Group, a mindfulness-informed philanthropic advisory group serving nonprofit organizations in the contemplative sector. He splits time between Los Angeles and Bucks County, PA, where he resides with his wife, Anne, and their four rescue racing greyhounds, Star Jean, Marcus, Mac, and Ivy. 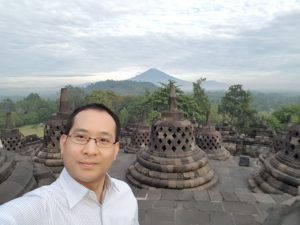 Albert Mah is a former vice-president of the Buddhist Society of Western Australia and a former treasurer of Hayagriva Buddhist Centre in Perth, Australia. He is currently a dharma teacher at the Buddhist Society of Western Australia giving lessons to the senior school class. He is a vegan, plays an active role in animal advocacy, the vegan way of living and social justice. He lives with a greyhound who was discarded by the racing industry after his racing career ended. Albert believes that when one contemplates suffering deeply one realizes that a life of minimum harm has to incorporate abstention from eating animal flesh and consuming animal products. Olivier first discovered Buddhism by reading Thich Nhat Hanh’s books in 2010. After several years of practice in the Plum Village tradition, he enrolled in the mindfulness meditation teacher program lead by teachers Tara Brach (DVA’s Advisory Council) and Jack Kornfield in order to share the practice of Buddhism, mindfulness, and compassion with the world. He became a vegan and animal rights activist through the practice of Buddhism and the insight of Interbeing as taught by Thich Nhat Hanh. Olivier holds a Masters degree in Computer Science from San Diego State Unversity and has been a Software Engineer since 2006. He has worked for Sony Playstation Network and Intuit as a lead engineer. He has also taught mindfulness meditation to hundreds of employees and promoted veganism in the workplace. Jean Myers practices Buddhism in the Theravada tradition following the Thai Forest lineage of Ajahn Chah. She has been meditating since 1992 and facilitated a sitting group for 10 years while living in Arizona. Currently living in Seattle, she attends programs at the Seattle Insight Meditation Society. Years ago she changed her diet to vegetarian after reading Diet for a Small Planet by Frances Moore Lappe’ and then to vegan about 20 years ago after learning of the cruelty involved in the egg and dairy industries. Her education includes a bachelor’s degree in nursing and a master’s in psychology (marriage and family therapy). Her passion for healthy vegan food led her to teach Food for Life cooking classes for eight years. She also has a certificate in plant-based nutrition from the T. Colin Campbell program through e-Cornell. Currently she is the Director for Food Solutions for Switch Healthcare, a start-up company founded by her husband, Carl Myers, MD to offer self-insured employers effective ways to decrease the cost of medical care through lifestyle changes. Andrew Bear, a hospice chaplain, first took refuge with Thich Nhat Hanh in 1991 and was ordained in the lineage of Thich Nhat Hanh’s Order of Interbeing in 2015. He has also studied and practiced in the Nyingma tradition of Tibetan Buddhism. He is involved with the Earth Holding Sangha, a movement within Thich Nhat Hanh’s tradition that is dedicated to caring for the Earth and all beings by learning ways to stop contributing to climate change and environmental destruction, such as eating a plant based diet. Andrew is a board member of the Silicon Valley Interreligious Council (SiVIC). Andrew also volunteers as a wildlife rehabilitator at the Wildlife Center of Silicon Valley and as a wildlife search and rescue responder with Wildlife Emergency Services. Andrew humbly hopes to use his life to protect living beings and dreams of someday living with animal friends on a farm animal sanctuary. 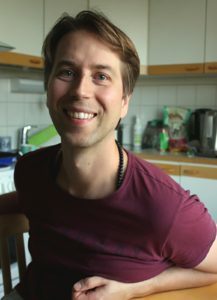 Andrew finds joy in practicing a vegan way of life, as every bite of food, every piece of clothing put on, and every mindful step becomes an act of compassion. 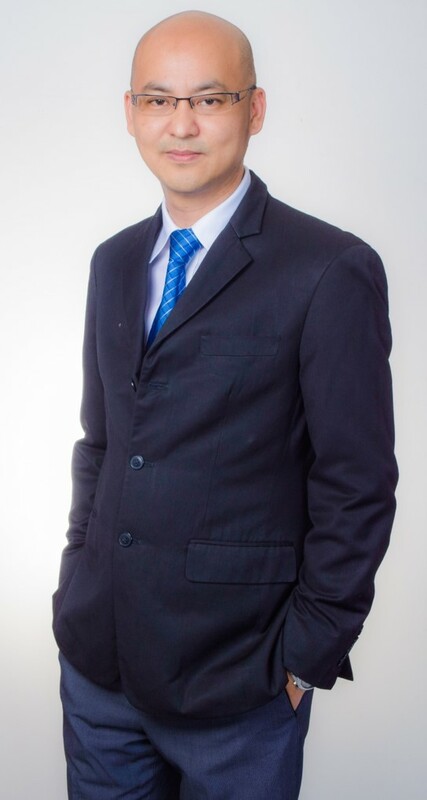 Jop is a Thai diplomat currently based in Bangkok with previous postings in Hong Kong and Denmark. He has been practicing Theravada Buddhism since around the year 2000 and became a vegan in 2015. Prior to that he had intended to try being a vegetarian but procastinated for a few years. Eventually he took the leap and discovered, quite surprisingly, how easy it actually is and the significant benefits that the lifestyle has for the animals, the environment and spiritual growth. 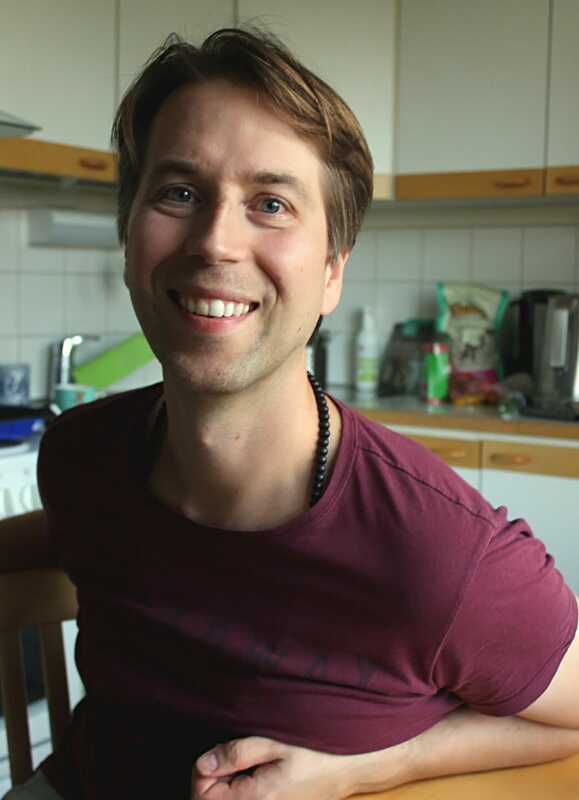 He hopes to see more Buddhists embracing veganism and to be part of the fast growing global movement for animal liberation – a world that is free of slaughterhouses and all other forms of animal exploitation. 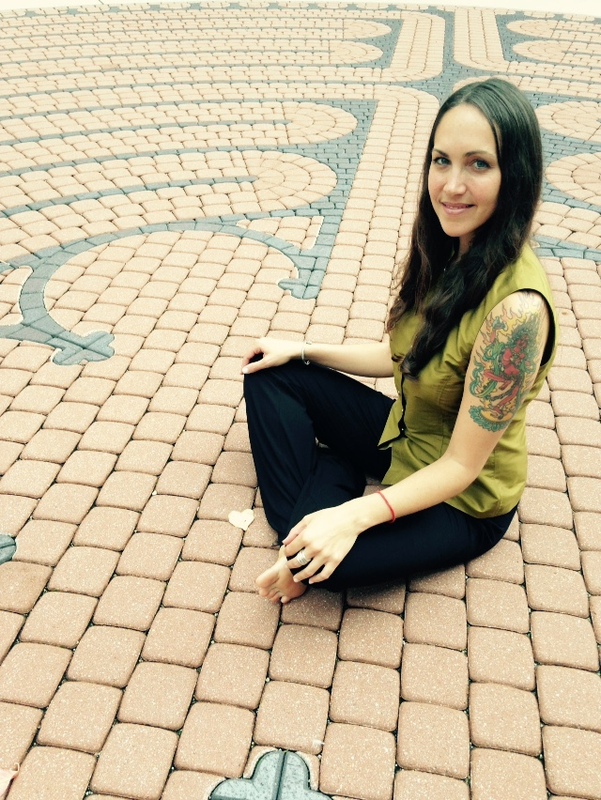 Alex Arbogast is a Licensed Clinical Social Worker, Yoga Therapist and Meditation Teacher. She primarily works with veterans, providing mind-body therapy and teaching mindfulness-based skills to help them heal from the wounds of war. Alex’s two main passions in life are helping animals and dharma. Since her teenage years, she has tried to help animals through adopting a vegan diet and raising awareness about their exploitation and suffering. She also started meditating as a teenager and ever since, has been a devoted practitioner and student of dharma. Alex believes that the path of dharma and animal protection are inseparable. If dharma is about awakening the heart and having compassion for ALL beings, how can we ignore the unnecessary and cruel treatment of animals for our pleasure, amusement, and convenience? Through her role in DVA, Alex wants to ask this question of dharma students and teachers, to get people reflecting on and talking about this issue, and ultimately, to support others in awakening their hearts to the suffering of animals and living a cruelty-free life.